Great news iPhone and iPad owners! Apple has released iOS 11.3.1 to the general public, which is available right now as an over-the-air download or as an IPSW download for a manual install. It’s also likely that Apple has integrated a number of notable security fixes with this release. 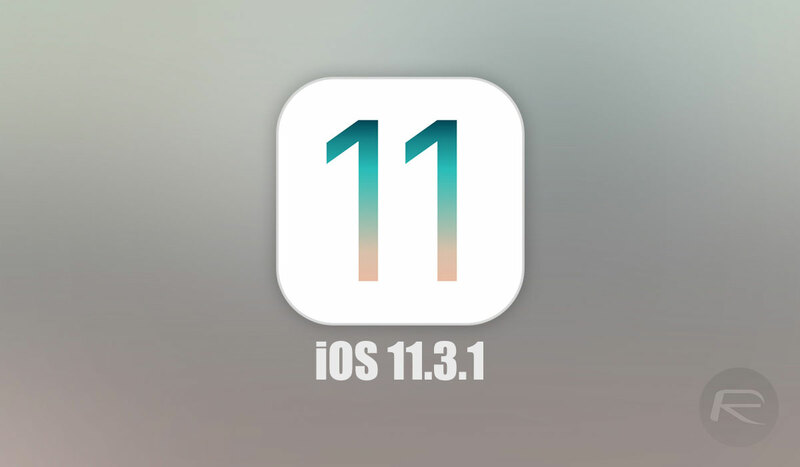 The release of iOS 11.3.1 doesn’t detract from the importance of iOS 11.4, which brings with it features like the exposure of the new ClassKit framework and other notable improvements. All-in-all, it’s been a great period of activity as far as Apple, iOS, and the global consumer-base is concerned. If you are in ownership of a compatible 64-bit iPhone or iPad then you can grab the latest over-the-air update right now from Settings > General > Software Update. Alternatively, if you prefer a fresh installation using the IPSW and iTunes, then you can grab the download right here. Update x1: More iOS 11.3.1 changes are detailed here: iOS 11.3.1 Release Notes, Changes, Security Content: Here’s What Is New. On my iPad Pro 12″ 1st gen it says the ipsw is not compatible with this device. Doesn’t work on my iPhone 7+ either. Same results. Hello there I am having A1530 model Iphone 5s when I am trying to downgrade from 11.4.1 to lower version 11.3 or 11.4 beta its giving error code 3002 although I made the necessary changes in host file also turned off firewall, Please provide the solution for the same issue.